I had always been wary about trying this device on the eyes even though I was in dire need of some help to make my lashes look all fluttery and curled. I was scared of the scissor like metallic device seeming to almost pierce the eyes in order to work the lashes. It was when a friend showed me how simple it is to use and how it is not dangerous at all, that I tried it and was hooked onto it! 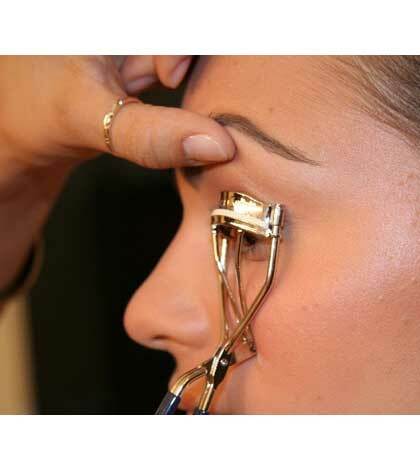 Eyelash curlers help curl out the eyelashes before you apply your mascara. They are usually metallic and come with a band of rubber that will hold your lashes between. Normally, it is the upper lashes that are curled using an eyelash curler. How would you use it? Hold the eyelash curler just like your normal scissor. 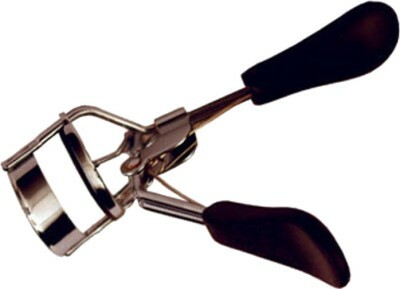 The ends of the eyelash curler are semi-circular, in the shape of your eye. Your eyelashes go into the gap between the bands of rubber. All you need to do is, open up the curler, hold the lower part of the curler on the lash line of your upper eyelid, and clamp it shut. Make sure only your eyelashes (and not your eyelid!) is caught between the curlers. Do not make it too tight. Hold it for thirty seconds and repeat on the other eye. It instantly opens up your eyes. Follow up with mascara for really thick looking eye lashes. Now let us see some of the popular eyelash curlers in the market in India. They are all available online and also in beauty counters. This is the most basic eyelash curler that you can get started with. It is fully metallic and sturdy. It has the rubber band in order to ensure that it is soft on the lashes. It is a simple, no fuss curler that is easy to use and gives you a decent curl. It is priced at Rs.80. This eyelash curler from Vega is better than the basic curler in that it has a plastic handle that will give you a better grip. Other than that, it works like the basic eyelash curler itself. It is priced at Rs.120. This eyelash curler takes the good grip handle a step further by giving you contoured handles that you can slide your fingers around. They claim to have a great contour design that naturally fits the lashes. It comes with an additional pair of rubber pads, which is a great advantage, since when the pads get worn out in the other curlers, the curler would need replacement. At Rs.140, it is a good product to purchase if you want great looking lashes. 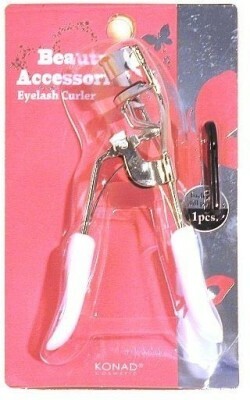 This eyelash curler comes in a pretty pink packaging and a white plastic handle. They claim that the curler will add drama to the eyes by holding up the lashes better. It also comes with an additional rubber pad. The Konad lash curler is priced at Rs.260 and is available in most online stores. The eyelash curler from the stable of the beauty company Faces is easily available online and in the Faces stores all over the country. It is easy to use, has a plastic handle for better grip, comes with an extra rubber pad and gives you intense curls. It is priced at Rs.169 apiece. 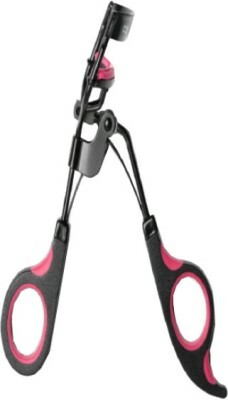 True to its name, the Colorbar eyelash curler comes in a colourful black and pink combination. It has a silicone pad in place of the regular rubber pad that other lash curlers have. It is pinch proof and provides a smooth curling experience. It has a very comfortable scissor like handle and can give you those showstopper eyes for Rs.350. 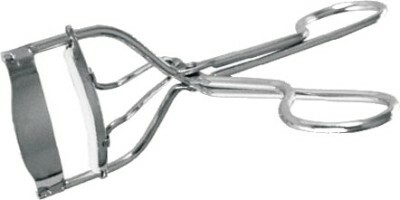 Which is the best eyelash curler that you have used?